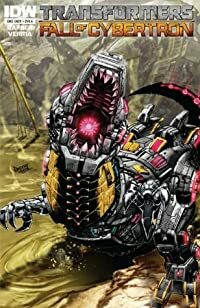 RISE OF THE DINOBOTS! Searching for a missing teammate, GRIMLOCK leads his team deep into SHOCKWAVE’s citadel—and they’ll pay for their trespass with their lives! It’s the origin of the Dinobots as you’ve never seen it before!